Reservations are required for weekends and recommended for all days of the week. Located in the heart of downtown Dixon, with the soul of majestic elegance. Please check our facebook page for updates on our Holiday hours. Linde Lane Tea Room completed renovation in August 2010. The interior decorator is Theodora by Designs. Theodora and Linde spent numerous hours planning each and every corner of this incredible tea room. Take your time walking around and enjoying the ambiance and elegance. Don't forget to visit the restrooms - even those are decorated and fit for a princess. The Old Dixon Fire Station was originally built in 1929, and is currently the home for Linde Lane Tea Room. 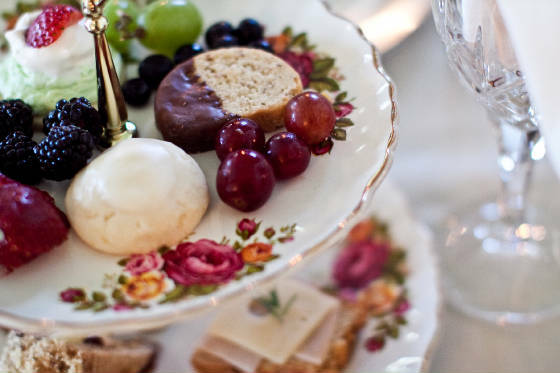 The decor of the tea room is Victorian, and houses custom made chandeliers, furnishings and a one-of-a-kind 8 foot teacup booth. There are antiques, some older than a century intermingled throughout. 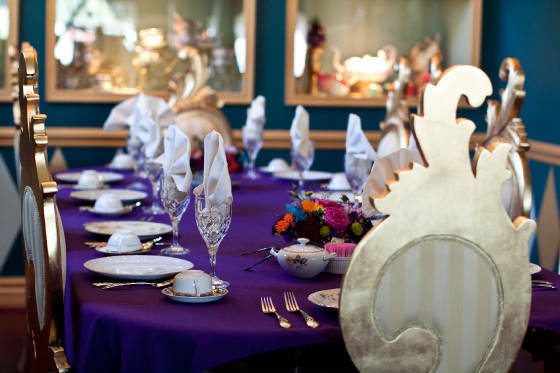 The eclectic china and unique rooms, make this tea room the ideal venue for parties of all sizes. 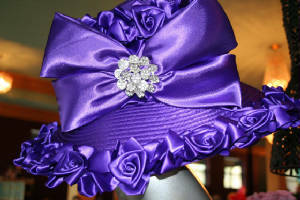 The retail area features Linde Lane's signature line of products along with hand made handbags, soaps, jewelry and an incredible showing of hats by A "B" in her Bonnet. Linde Lane houses a pastry chef and a culinary chef. Together they work to create amazing menus. From a Royal Afternoon Tea to a Light Lunch, we can accommodate almost any appetite. You will notice that at Linde Lane, we DO leave our crust on our tea sandwiches. We do this to conserve waste out of respect for those who are less fortunate. If, however, you would like your crusts removed, you may request your server to do so. 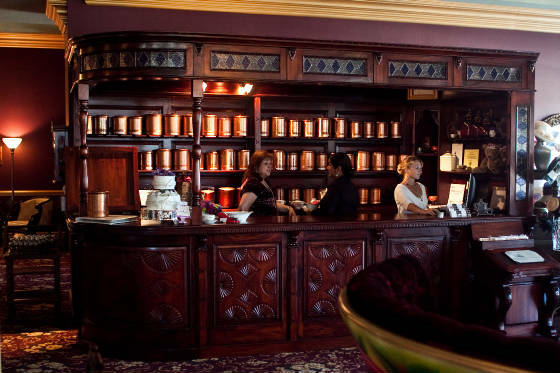 Our tea bar consists of about 49 different flavors of tea from around the world. 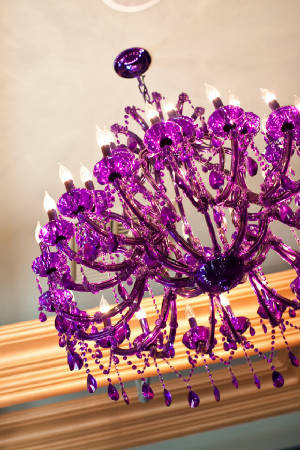 The Whimsical Room stays alit by a custom made purple chandelier.